Programs - Most Include Backing! > Teapot Sampler BOM Quilt! 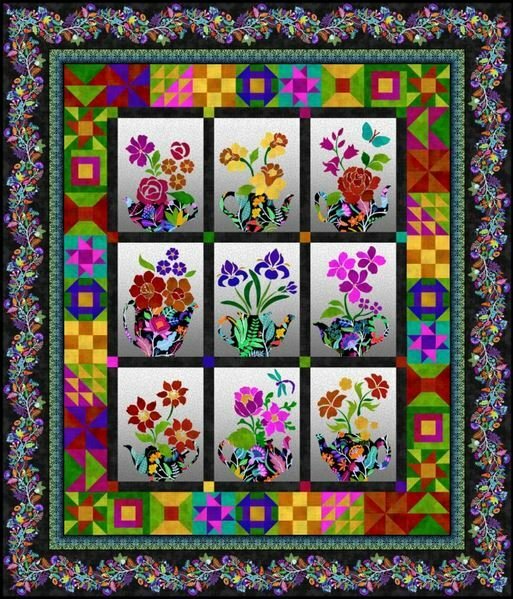 Teapot Sampler Quilt - 72 1/2" x 84 1/2"
Join us for this exciting BOM program featuring Teapots, applique and piecework! Here's a visual look at what you will make in Months 1-9. 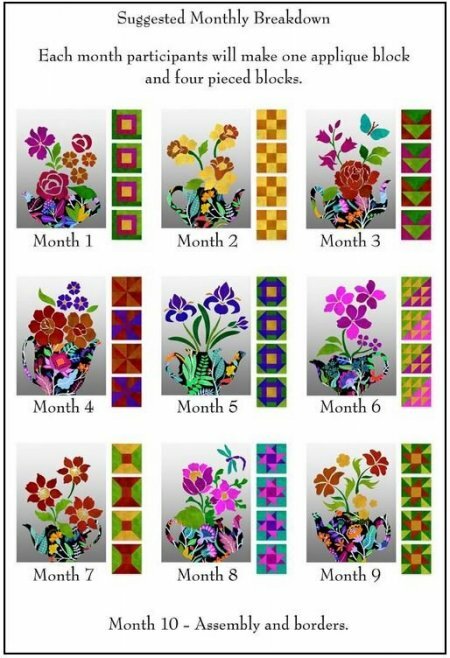 Month 10 includes your finishing kit of sashing, borders, binding and backing! 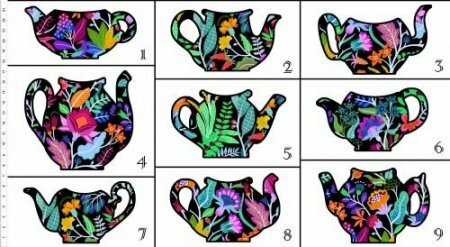 * Teapot Sampler Pattern, including full-size applique templates! 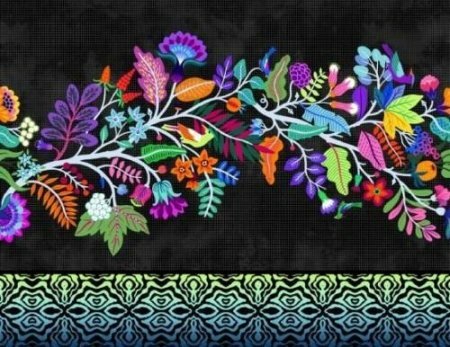 * All fabrics used in the original quilt, including binding! * Coordinating Backing - 5 3/8 Yards cut into two equal pieces to make it easier for you to work with. Note: You will have an extra 6" all the way around and your back will have a vertical seam. Part 1 - Place your Order Online or call us a 785-243-4044. Please note that if you pay online, your payment details are encrypted and we cannot see your credit card information. Orders will come in as "Pending" and we will then process your payment, generallly within 24 hours. Your reservation pays for your final kit. Part 2 - Call us at 785-243-4044. We need to confirm your shipping address, phone and email address. We'll also need your credit card details for your monthly billing. We'll ask you how many blocks/kits you'd like per month. You can take 1, 2, 3 or the entire kit!